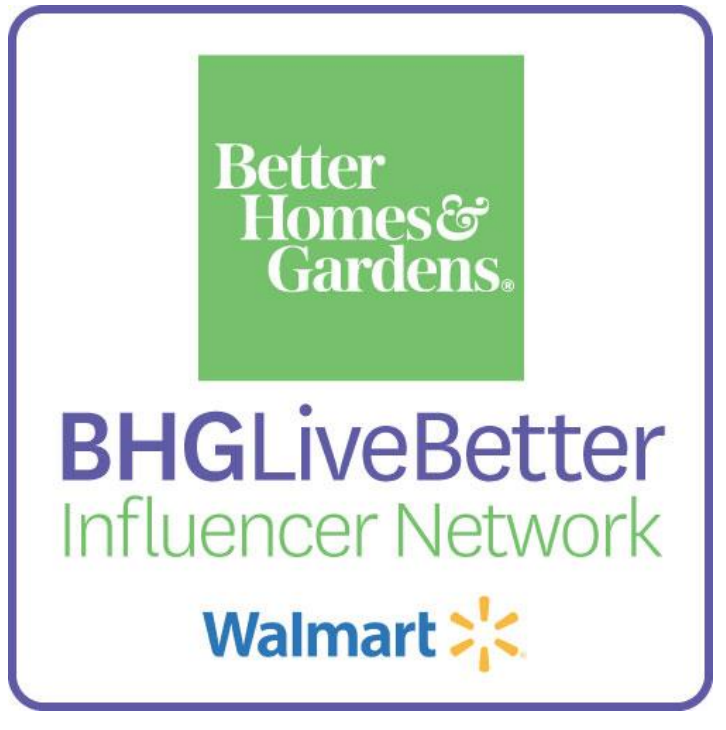 This post is sponsored by Better Homes & Gardens Walmart. 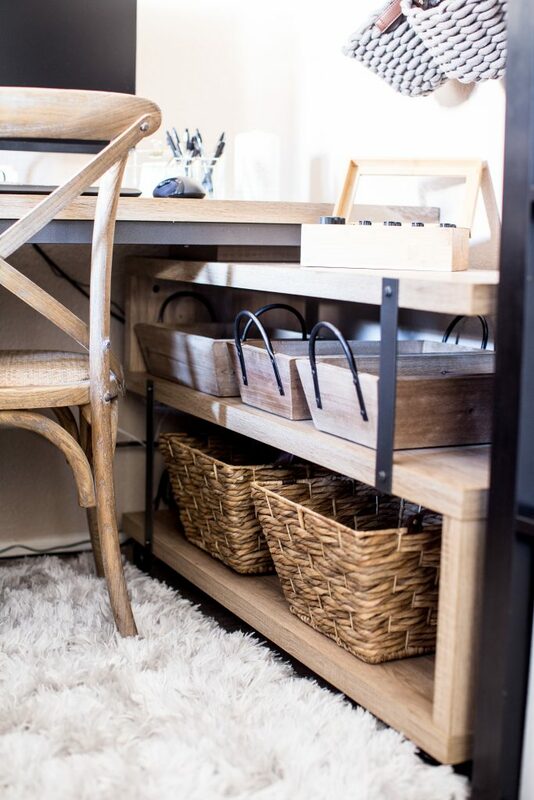 Maximizing small spaces in one of the most asked “fix it ” questions I get on my blog. 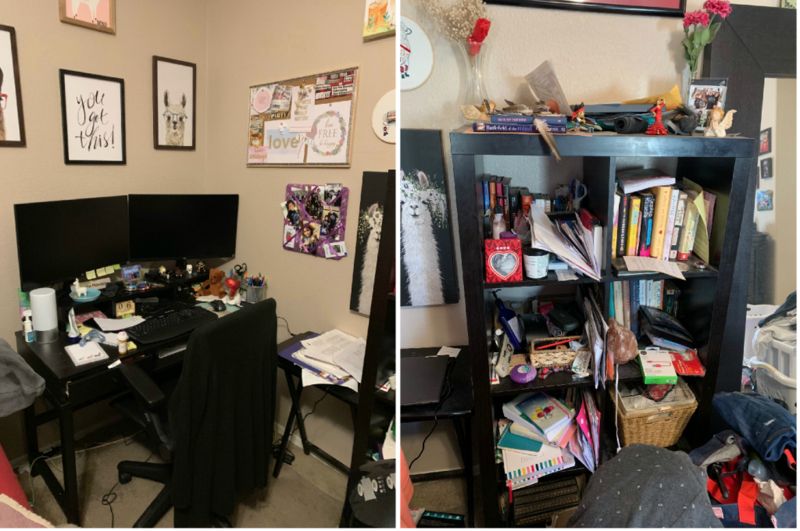 My DM’s are full of, “What can I do with this corner?” or ” Do you think I can use this space for a playroom, office or me time?” We all have spaces in our homes that seem to be not be functional. 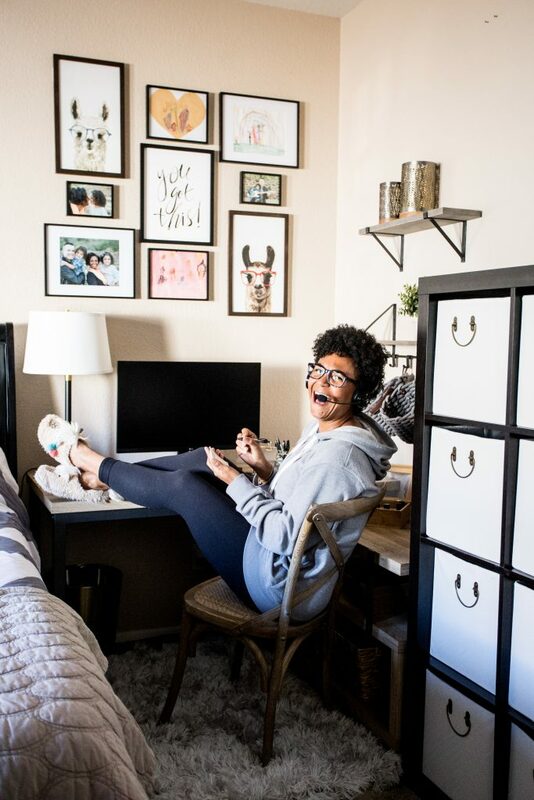 It leaves us a little anxious because it feels like our home hasn’t reached it’s full potential until those small, unused spaces are serving a purpose! I have plenty of those spaces in my own home. A corner of our family room, a weird spot in our master and a cutout upstairs in the playroom all have the potential to become something special. But today I’m going shift the focus from my own home to a friends home! Meet Venetia!! 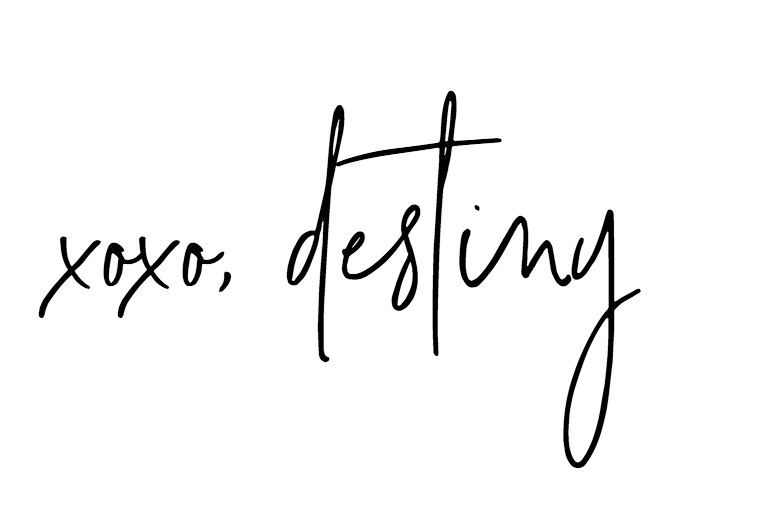 She’s one of my very best, long time friends ( it’s so important to have people in your life who have known you FOREVER to keep you grounded and humble lol ) and a fellow work from home mom! Towards the end of last year she got an opportunity to work from home and hasn’t looked back. She texted me with the news and asked for some advice about setting up an office space in her home. She basically needed it to function like a mini cubical without the gray, boxed in look! ha! SO when Better Homes & Gardens at Walmart came out with the February challenge I knew she would be a PERFECT fit! Venetia decided to use the corner of her bedroom as an office space. 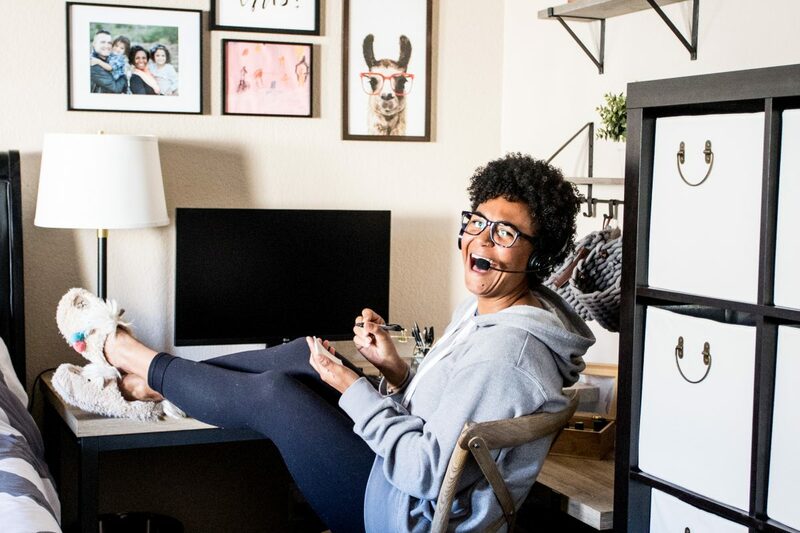 I thought is was such a great idea and something that anyone who works from home can do! 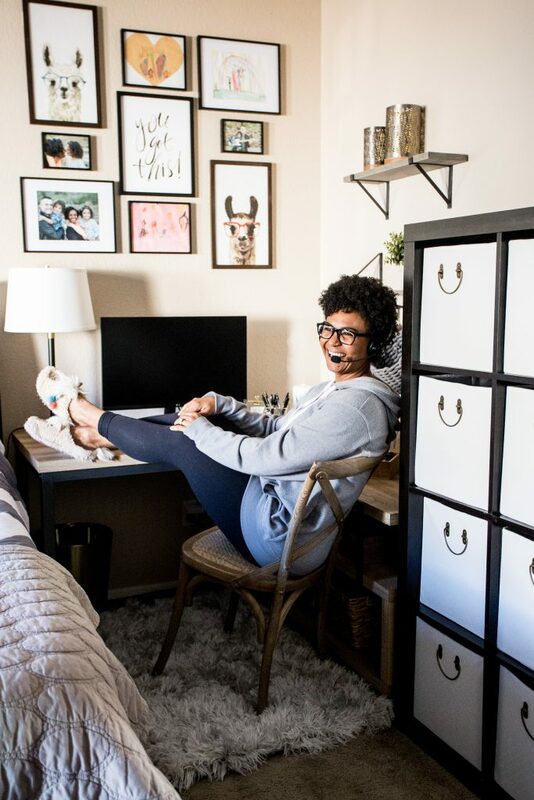 If you don’t have an extra room or you really just want the convenience, a corner office in the bedroom is great! 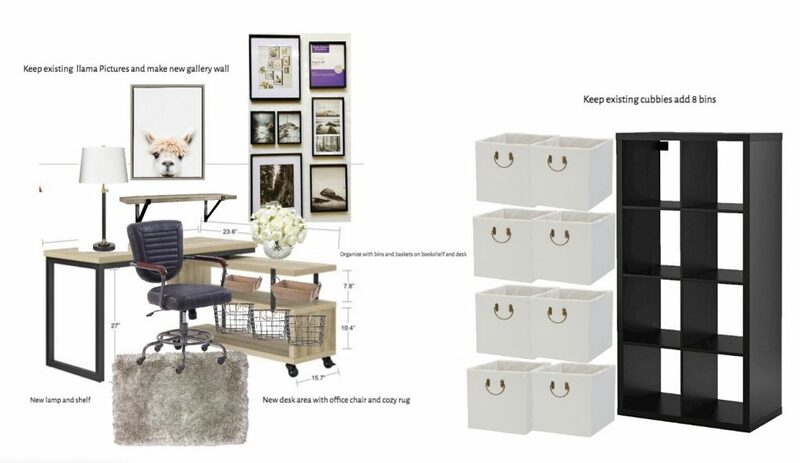 Just like all of us, she needed a few organizational pieces to help with her desk and bookcase. 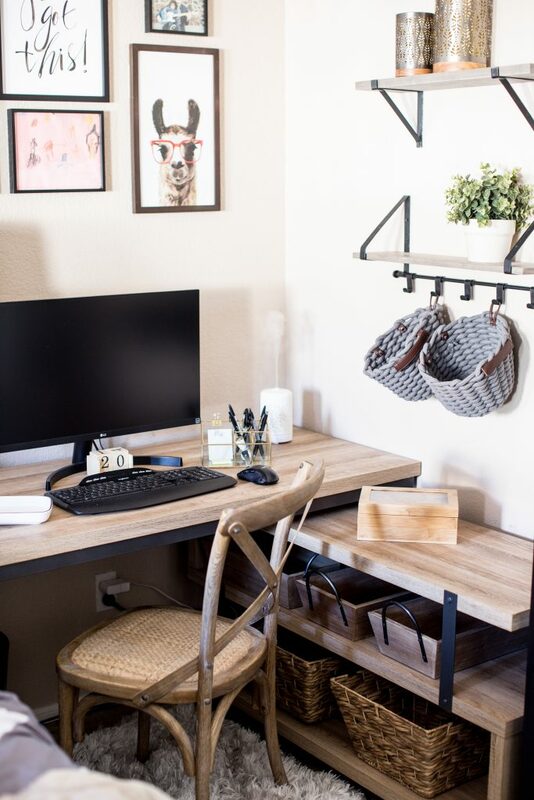 She also needed a more functional desk that fit into the corner along with some baskets and bins to help! So here is what I proposed! To start things off I wanted to give her a new desk. This Better Homes & Gardens Galloway L shaped Desk ( 277.99)seemed like the perfect solution. 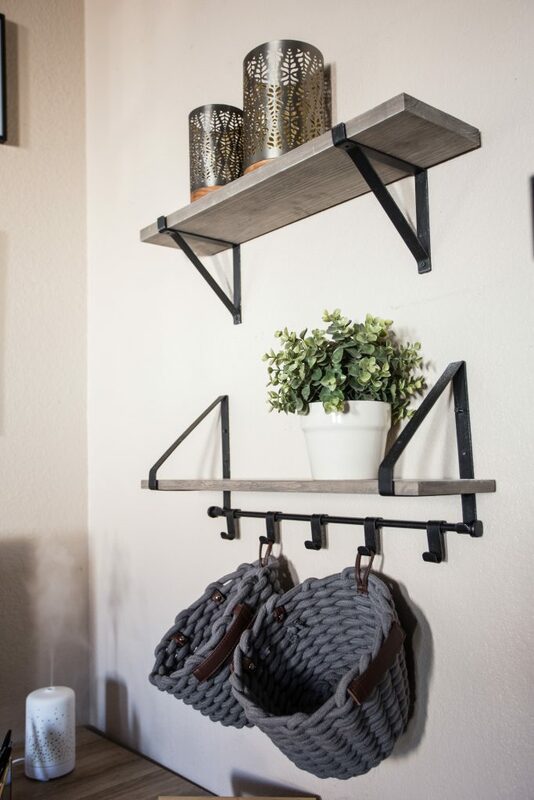 The neutral color, the touches of black and the functional moving bookcase made it a winner. After exchanging a few measurements we both decided this was THE desk. What I really love is that if you need it to fit into a right corner or a left corner it can because the bookcase has casters on it that allows you to move and customize it the way you want! Another game changer for the space? These textured creamed colored cube baskets with brass colored handles. They fit perfectly into her bookcase. You can find a similar one here! We really packed this corner with so many beautiful products from Better Homes & Gardens Walmart line. 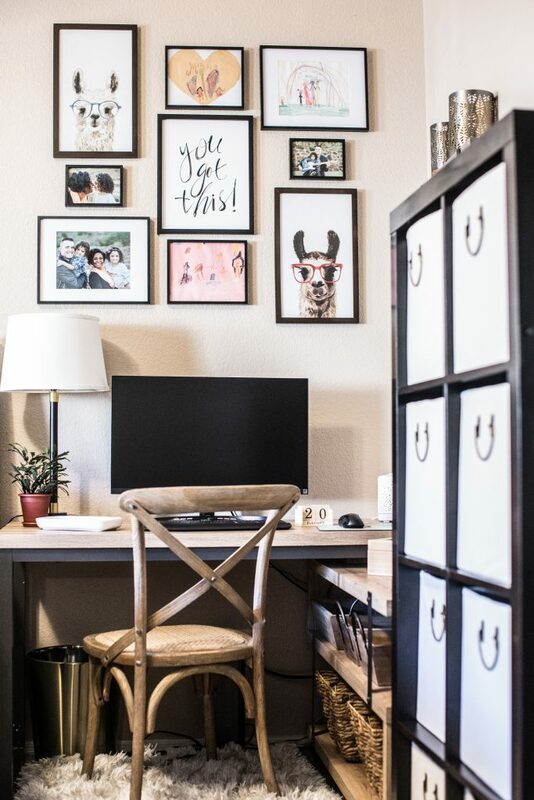 From the SOFTEST rug underfoot to the family friendly gallery wall on top, this little corner of her home really takes the whole home office concept to the next level. 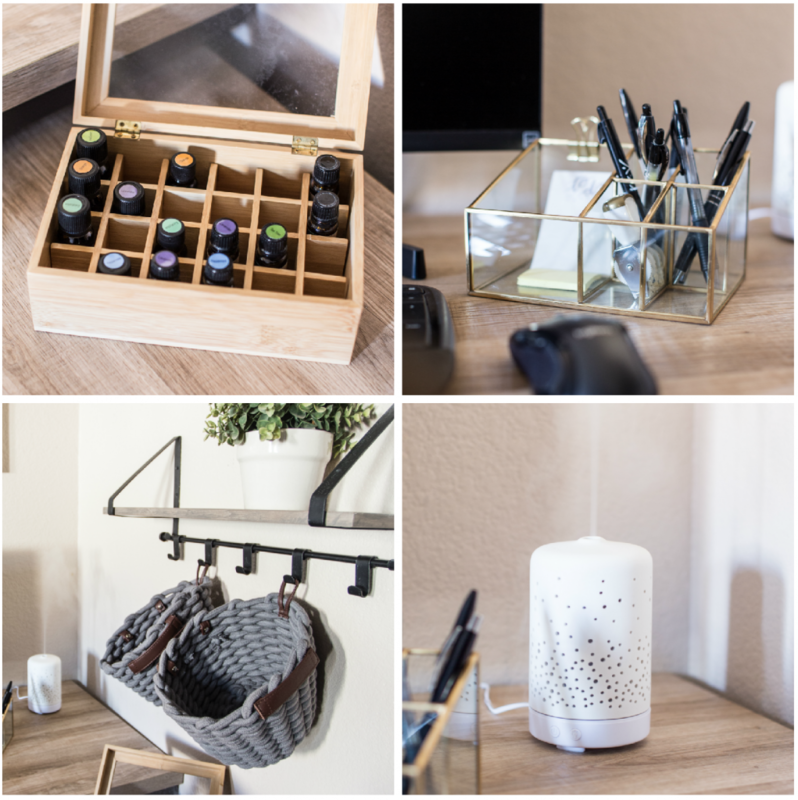 On her desk I added a collection of essential oils with an organizer ( you can find this in-store) and a diffuser. My hope is that a few oil combinations will help her stay focused, energized and relaxed throughout the day as she’s on calls and on the computer. We also used a bathroom vanity organizer for her office supplies! The knitted baskets that hang from the shelf/ hook combo that I picked up will definitely help her stay organized as well! Are you thinking of making up a small space in your own home! Here’s how! Wow, that was a huge transformation for such a small area! You are the best.